This all foam collection allows your body to keep a more balanced temperature during sleep while providing an individualized level of support. These cooling and pressure relieving layers provide more support and molds to your body, constantly redistributing your body’s weight to make you feel weightless. You will experience a weightless sleep and all your pressure points will melt away. A high density core ensures years of stability and durability, while layers of exotic foams, including latex, gel memory foam and high density memory foam, provide greater support and a cool sleep surface. Cool comfort gel memory foam: Instantly conforms to the shape of your body while providing optimal support with more pressure relief. Gel sleeps cooler because it moves air faster and removes heat quicker from its open cell design. Talalay Latex: 100% pure talalay latex will conform to the shape of your body providing pressure free support that keeps the body and spine in a proper position. Talalay latex is made from natural ingredients in a process that yields a clean and toxin free material. It is hypoallergenic, mold/mildew proof and dust mite resistant. Open cell design supports air and moisture movement reducing heat. A healthy sleep surface and reduced allergens mean a better sleep. Memory Foam: High density memory foam provide superior pressure relief. The lack of pressure means increased circulation. Heavy Duty Double sided cotton tufted mattresses designed with comfort and durability in mind. This collection is most unique…using approximately 34 lbs of cotton cushioning along with layers of polyester and various other foam pads to provide a “one of a kind” heavenly comfort feeling. Cotton has always played a critical role in the bedding industry… and for good reason. It “Breathes” is “Precompressed” and it’s the most comfortable cushioning material available. It helps prolong the life of the foam where they may exist together as cushioning in the mattress, giving your bed an even longer “Comfort” life! Much effort has gone into developing a fiber comparable to cotton but this has not happened. Simply stated, cotton outperforms synthetic man made materials… the natural, physical characteristics of cotton cannot be duplicated. Omaha Bedding is one of the few companies that garnets its own raw cotton in our factory, which gives us a distinctive advantage over other bedding manufactures in building a superior quality mattress. Double offset coil system is the strongest coil in the industry. Battleship Tough! Zoned for proper body alignment and years of support. 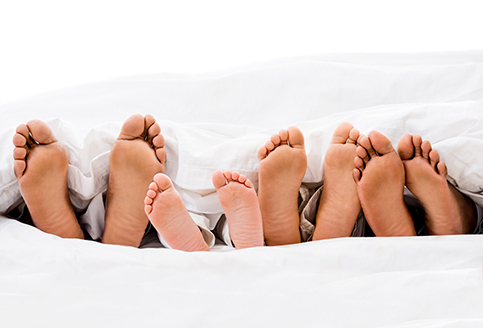 Only the highest quality foams are used throughout Omaha Bedding mattress collections. Memory foam, latex and high density foams are used to reduced body impressions and extend comfort life. Most importantly, these high quality materials reduce pressure points and cradle the body, resulting in years and years of comfort and support. This collection is our no turn option while featuring foam encased innerspring sleep systems. Combine this with high density foams, cool comfort gel, gel infused latex and high density memory foam you will be sure to find a comfortable sleeping experience without sacrificing body support, pressure relief or durability. You will be able to find a wide range of feels and price points to meet your needs. Individual pocketed spring system: Designed to reduce partner disturbance and give proper support and longer comfort life. The individual springs work independently of each other for contouring support and less roll-together. Foam encased edge support: The outer encasement offers high-density foam support for a firm seating edge and greater stability, while reducing edge roll-off. You will enjoy the edge to edge sleeping surface for years and years. Heavy duty steel box spring: Steel boxes are standard with all models. We do this to promote longer mattress life because steel box springs are more durable than all wood foundations. 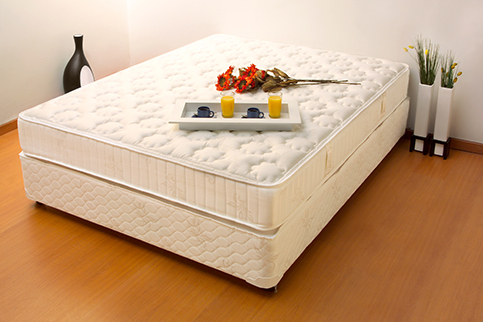 This collection offers a durable double sided mattress featuring foam encased innerspring sleep systems. Combine this with high density foams, cool comfort gel, high density memory foam, and talalay latex you will be sure to find a comfortable sleeping experience without sacrificing body support, pressure relief or durability. Classic two-sided construction allows the mattress to be turned and flipped so both sides of the mattress can be used, increasing the longevity of the mattress. Talalay latex: 100% natural talalay latex will conform to the shape of your body providing pressure free support that keeps the body and spine in a proper position. Talalay latex is made from natural ingredients in a process that yields a clean and toxin free material. Talalay latex is hypoallergenic, mold/mildew proof and dust mite resistant. Open cell design supports air and moisture movement reducing heat. A healthy sleep surface and reduced allergens mean a better sleep. All foam mattress line featuring gel infused memory foam. A high density core ensures years of stability and durability, while a transition layer and gel memory foam provide pressure relieving support and a cool sleep surface. Omaha Bedding Company offers hospitality sales for a variety of clients including hotels, resorts, and government facilities across the country. We manufacture models for all the major hotel/motel chains that meet or exceed their specifications. We deliver from our factory in Omaha to your location on our fleet of trucks. For assistance please contact us at 800-279-9018. The Master Sleep Gel-Memory Foam Mattress takes all of the guesswork out of shopping for a new mattress. Each model offers pressure-absorbing Gel and Memory Foam that forms to the shape of your body and cradles you to sleep. Try it and see. You’ll wake up invigorated and refreshed each morning after a great night’s sleep!